The Department of Communication is one of the oldest college communication programs in the Southeast and, steeped in a strong liberal arts approach to education, is a vital component of the College of Fine Arts. Teaching effective communication to help students succeed has been an integral part of a University of Montevallo education for more than 100 years. In 1905, less than 10 years after the Alabama Girls’ Industrial School was founded, young female students could learn telegraphy, the first medium of point-to-point communication. This later morphed into wireless telegraphy of sending dots and dashes to ships at sea, and finally, when technology was developed to send voice and music, it became radio. At a time when women were not encouraged to enter the job market, the Alabama Girls’ Industrial School was teaching young females state-of-the-art telegraph technology to give them real choices in their lives. The Tenth Annual Catalogue of the Alabama Girls’ Industrial School contained a description of the telegraphy program stressing that “superior advantages are offered for a complete education in this line. The office is thoroughly equipped with Bunnell’s latest improved main line instruments, keys, relays, and sounders. It has practice keys, short lines, and connections, thus making it an actual telegraph office, transmitting and receiving messages daily. Pupils are, of course, taught to receive by sound. The course comprises a thorough knowledge of Morse, sending and receiving, also the complete system of bookkeeping, ledger, check report, and account current, as used in the regular telegraph offices.” The description also contained a valuable insight into success: “In learning telegraphy, practice is the main thing to be considered. The office is open at all times for the pupils who wish to practice after school hours.” The admonition that students must practice was good advice 112 years ago and remains good advice today. The 1927 edition of the UM yearbook, the Technala, forerunner to the Montage, listed Miss Ellen-Haven Gould as Chairman of the Speech Department, which also housed Theatre. Speech students learned linguistics, debate, forensics, and interpretive reading. The UM student newspaper, The Alabamian, was started in 1924. In 1950, UM radio station WRSD programmed 6 ½ hours of educational shows each week. As in telegraphy, the Alabama Girls’ Industrial School took the lead in teaching women the artistic and technical skills to succeed in mass communication. 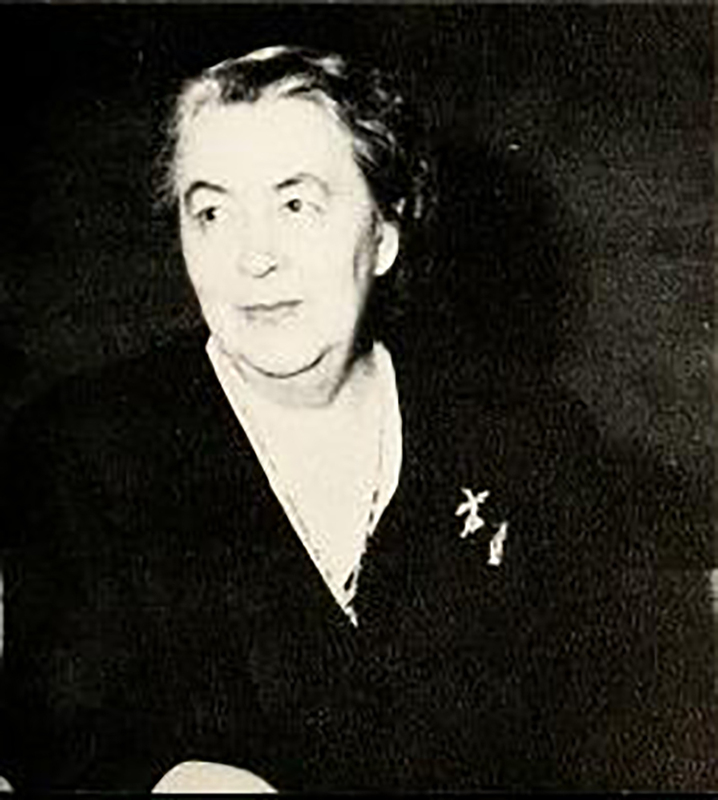 Miss Gould remained Chair of the Department of Speech until her death in 1953. 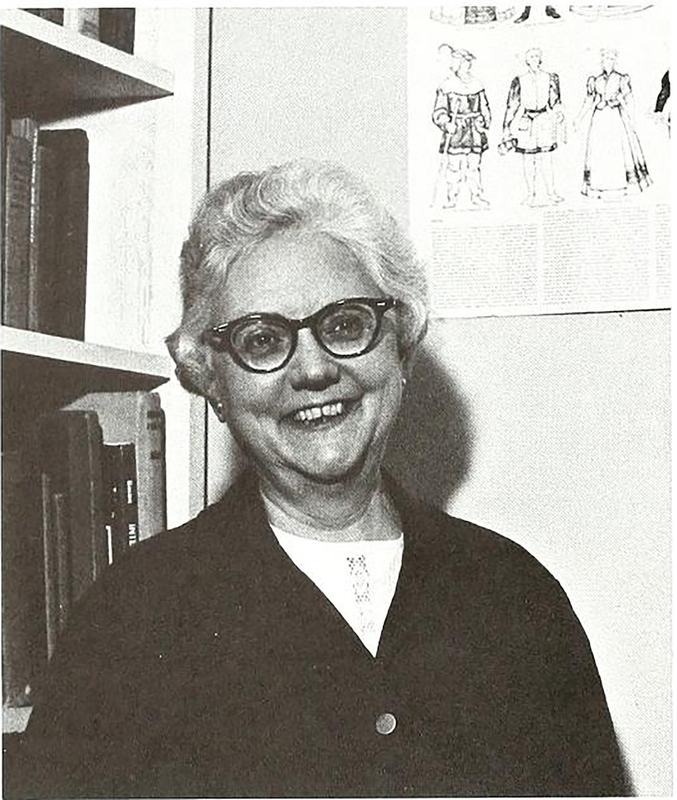 Dr. Laura Wright appears as Professor of Speech in 1954 but is not listed as Head of the Speech Department until 1957. At this time, the Department also had oversight for the Speech and Hearing Clinic, as well as Theatre. When men were admitted as students in 1955, Alabama College: The State College for Women changed its name to Alabama College: A State College of Liberal Arts. Dr. Wright retired in 1975 and Dr. Charles Harbour, who joined the Speech faculty in 1965, was appointed Chair of the Department of Speech, Theatre, and Mass Communication in 1975. 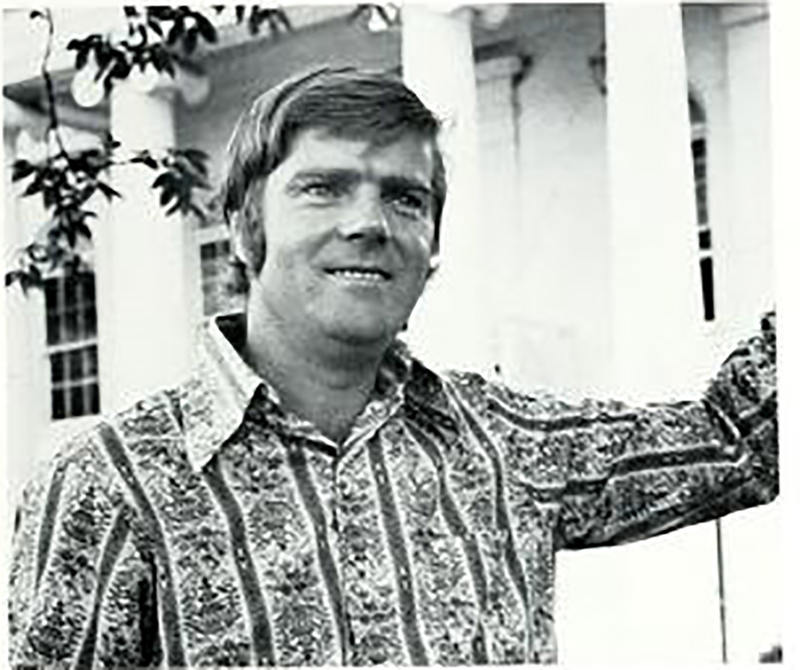 Electronic mass media emerged as a separate major in 1975 with Karl Perkins as Director of Educational Television (ETV), Larry Smith as ETV Producer, and Ray Sosa as ETV Instructor. They greatly accelerated the growth of the Mass Communication major due to their extensive industry knowledge and personal contacts with regional media managers. UM Mass Communication graduates continue to find success, due in large part, to the excellent reputation of the major that was created and fostered by Perkins, Smith, and Sosa. 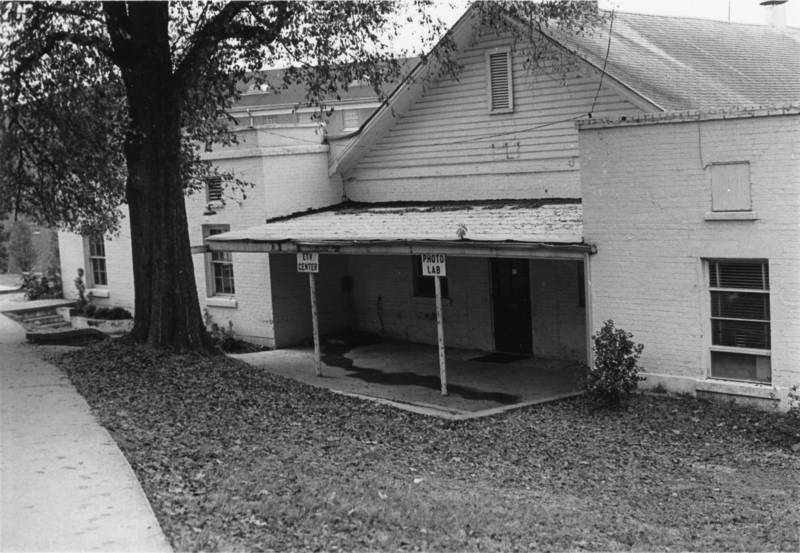 In 1980, the renamed Department of Communication Arts housed Speech and Theatre faculty offices and classrooms in Reynolds Hall. 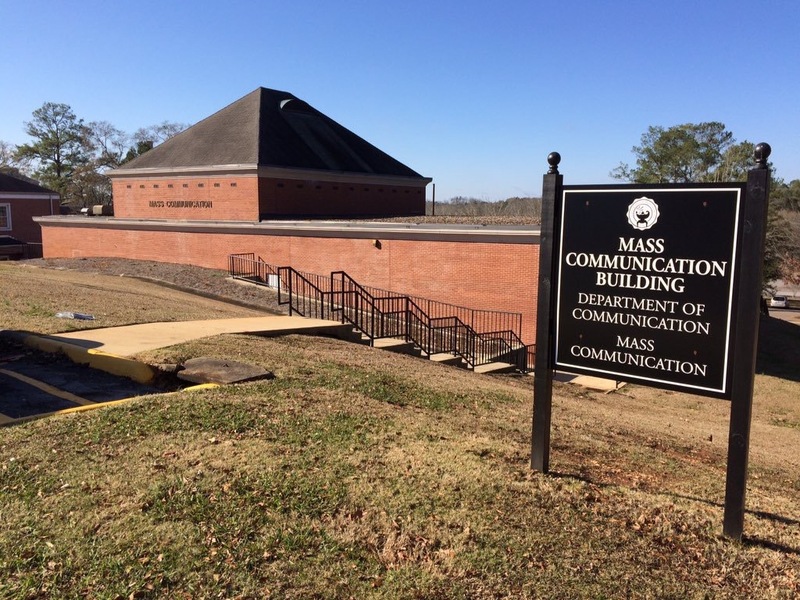 Mass Communication faculty offices and MC classes were taught in the ETV Center, affectionately known by students and faculty as “the Barn.” Anyone who experienced the Barn has a story to tell! Maybe the Barn didn’t look very appealing, but the equipment was up-to-date, the faculty and students were motivated, and many MC graduates from the Barn found success in the industry. On Founders’ Day, October 11, 1991, the University broke ground for the Mass Communication Building and classes began in the then state-of-the-art facility in Fall 1992. Mass Communication majors learned their craft with facilities and equipment that were constantly updated to mirror commercial broadcast stations, newspapers, and production houses. Dr. Harbor retired in 1997 and, in 1998, Dr. Randall K. Scott was appointed Chair of the Department of Communication Arts. Dr. Scott instituted major personnel and policy changes. “Speech” was changed to “Communication Studies” to better reflect the discipline. The number of faculty with terminal degrees was significantly increased. Communication Studies, Mass Communication, and Theatre each developed a discipline-specific core of classes, which strengthened and delineated each program, leading to steadily-increased enrollment. Dr. Scott returned to full-time faculty duties in 2005 and Dr. David Callaghan, a member of the Theatre faculty, was appointed Chair of the Department of Communication Arts. In 2007, Theatre became a separate department with Dr. Callaghan as Chair and Dr. Sally B. Hardig, a Communication Studies faculty member, was named Chair of the Department of Communication. Dr. Hardig stepped down in 2015 to resume faculty duties and Dr. Scott was re-appointed Chair. In 2007, it was time for a fresh approach and new facilities. Dr. Hardig recognized that, to take full advantage of the positive, creative synergy of COMS and MC, the two programs needed to be under one roof. 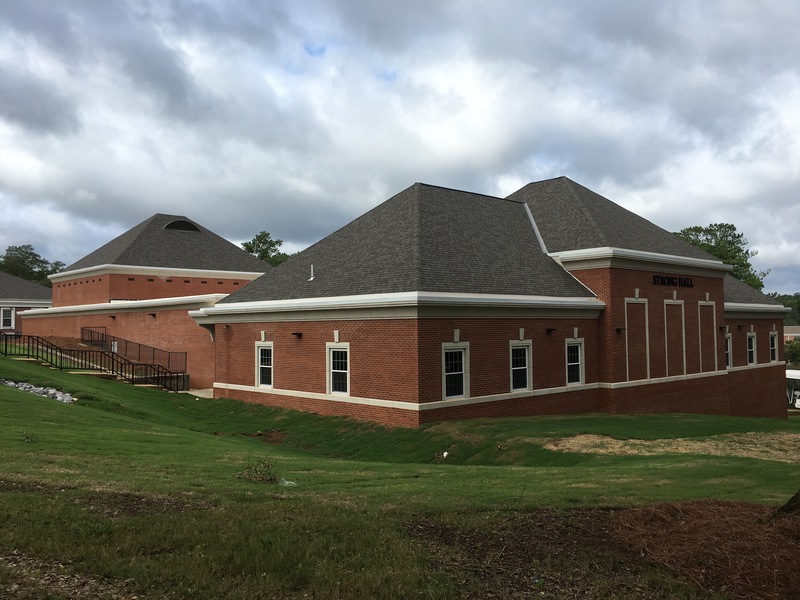 Dr. Hardig began discussions for a new building with state-of-the-art production and classroom facilities along with industry-standard equipment to ensure that COMS and MC graduates would continue to successfully compete in the job market. Communication Studies alumnus John Paul Strong and his father Mike Strong, also a UM grad, stepped up with a generous donation and the project took flight. Groundbreaking for Strong Hall was held Wednesday, April 27, 2016, and construction began a few weeks later, during Spring Break. The interior of the existing Mass Communication Building was completely repurposed to include offices for Communication Studies and Mass Communication faculty and adjuncts, three large classrooms with top-of-the-line digital instructional equipment, a state-of-the-art computer lab, three digital editing suites, a conference room, and a student lounge. A new building addition, connected to the old Mass Communication Building by a large breezeway, houses a commercial-quality television studio with a custom-made news set and LED lighting, a master control room that rivals major-market TV stations, digital audio and video production rooms, and a specialized computer lab for multimedia journalism classes. Strong Hall welcomed students in Fall 2017. The Department of Communication continues its 100-year tradition of attracting outstanding students. If you have a “fire-in-the-belly” to succeed in a communication career, you belong here! We’ll channel your motivation and drive by developing your creativity, teaching the fundamental and advanced skills you’ll need, and instilling industry ethical and moral standards. We have the facilities, the equipment, and the talented faculty to help you sharpen your talents for a successful career in communication. You’ll graduate with the confidence to adapt to the ever-changing communication environment. The Department of Communication. You belong here. We are the DESTINATION.